Just over two years ago, Callaway released the Sure Out wedge. The goal was simple. To create a wedge design that made greenside bunker play, as well as other shots, easier to execute for the weekend golfer. Based on a lot of reviews, it worked. Fast forward to today and the company is set to release the sequel, based on feedback and extensive testing from round one. At first glance you might be thinking they look pretty similar to the original line, but the differences are well thought out. Before we jump into the biggest changes, let us first mention what did not go away. The Sure Out 2 continues with the 17 full face grooves that are well known from the first iteration, along with Callaway’s PM Grind line. What the extension of grooves offers is more grass, sand, and/or other debris being channeled away on trouble shots to keep impact between ball and club face clean, even on less than desirable lies. Moving to the changes/additions, the sole has also gone through a redesign. 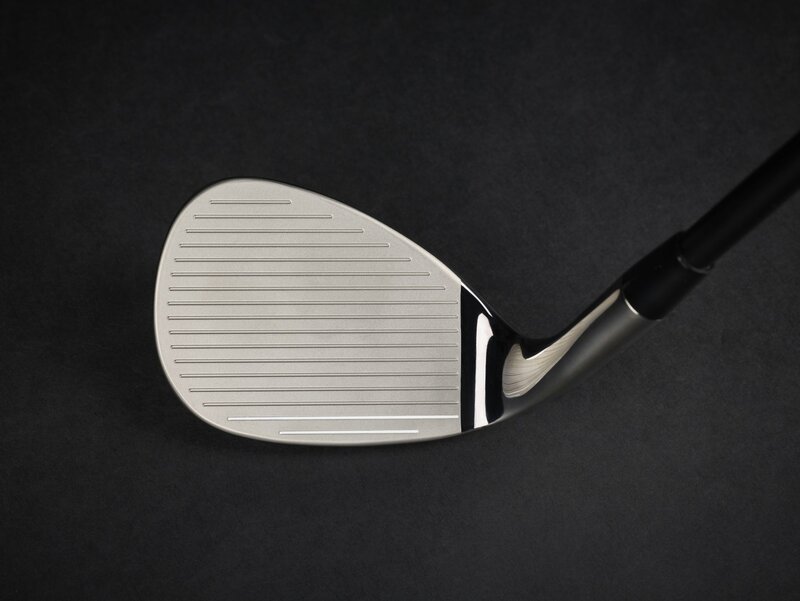 The radius has been enhanced along with the bounce angle to accommodate a wider variety of golfers. Callaway has also brought in more heel relief to add some versatility to the Sure Out 2. “Taken away” might be a better descriptor here, but the design seems to answer the only drawback offered in reviews from the previous model. This should be a welcome addition to those interested in putting a specialty wedge in the bag, but fear you won’t get to use it for enough types of shots. 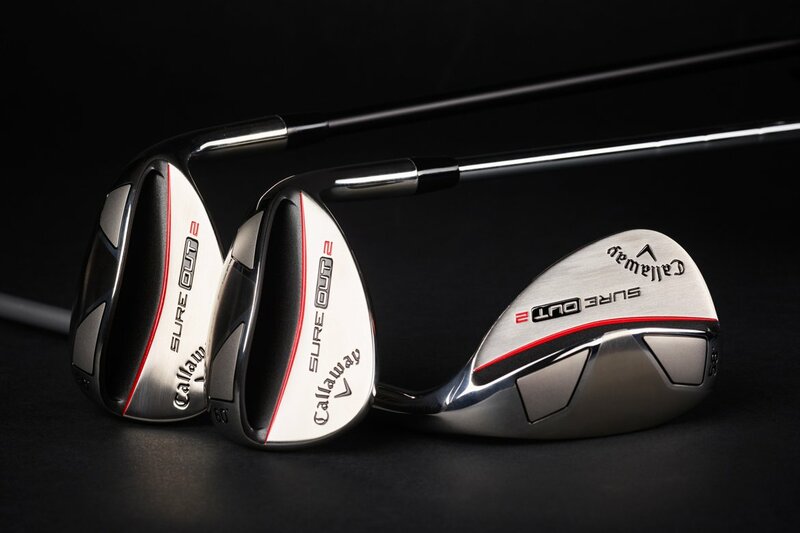 The original version was only available in 58 and 64 degree lofts, but Callaway has really expanded this offering to include the 56 and 60 as well, giving both right and left handed golfers four full lofts to choose from. One of the more interesting new additions to the lineup for this launch is a collaboration of sorts between Lamkin and Callaway. It is called the Step Down Grip, and it is designed to make the short game easier and minimize the thought process. Three “Step Down” markings are located on the grip, and each one will act as a reminder for your game’s distance and shot making. 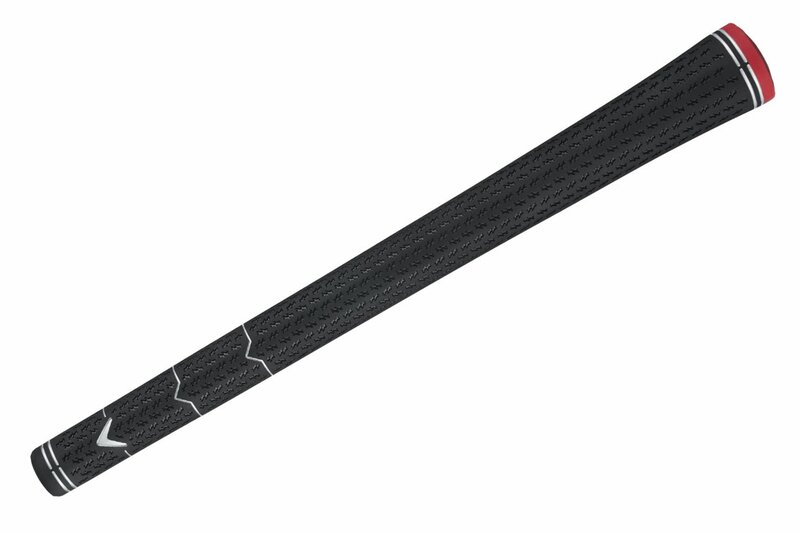 Shaft Options: KBS Wedge 90 for Steel and UST Mamiya 65 for Graphite. Nice review Josh. I think the improvements, changing the grind to accommodate more golfers as well as increasing the offerings in Lofts for RH and LH is a great step in the evolution of this offering. The Lamkin golf grip is huge too for beginners in getting them in the right position. I really need to get one or two of these for my wife. Seems like big time support for shots around the green, not unlike the original. I like that.